HALBAN According to the motto “Save Water for Future Generations” the World Water Day was celebrated at GUtech under the auspices of H.E. Ali bin Mohammed Al Abri, Undersecretary at the Ministry of Regional Municipalities and Water Resources. Dr. Hussain Al Salmi, Deputy-Rector for Administration and Finances at GUtech addressed the audience in his welcome speech, while pointing out the importance of water for our lives and for the economy of the country. Therefore, it is important to use water wisely and to save if for future generations. 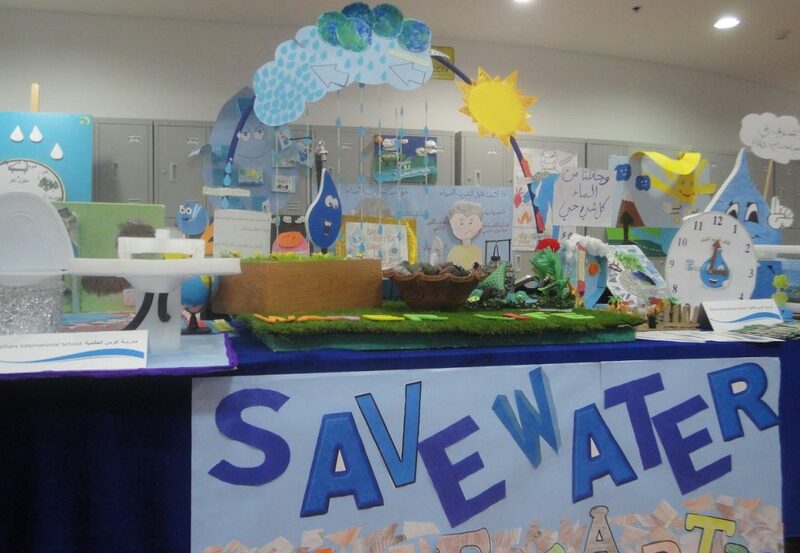 GUtech has initiated various awareness campaigns and research projects to generate more knowledge about saving water. GUtech’s Department of Applied Geosciences recently signed an agreement with Wageningen University in the Netherlands to conduct joint research on harvesting rainwater while preventing flash floods in Oman. In order to mitigate climate change in the region, the project may be extended to reforestation and future agriculture projects. The World Water Day event at GUtech was accompanied by an exhibition including various private companies and government institutions dealing with water. Water optimizing equipment, an art and photography exhibition and school and university students’ projects were displayed. According to the Public Authority for Electricity and Water who was among the exhibitors at GUtech, the water production in Oman rose by around 6 % to more than 300 million m3 in 2015 compared to the previous year. Around 80 % of the water produced in the country comes from desalination plants in Al Gubrah, Barka, Sohar and Sur. In addition, there are small desalination plants in eight governorates. Around 20% of the water comes from wells in rural areas in the Interior of the country. Currently, there is no surface water in Oman. However, work is underway to bring water supplies from the Wadi Dayqah Dam to the capital area.